We're now just totally confused. 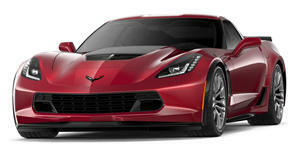 There’s no doubt that everyone will recall the news a few months back regarding the next generation Corvette’s supposed switch from front- to a mid-engine platform. Yes, this rumor has been going on for decades but major publications such as Car and Driver claimed it was really happening this time. Combined with the fact that GM trademarked the name "Zora", speculation continued, and a 2018 launch was hinted. 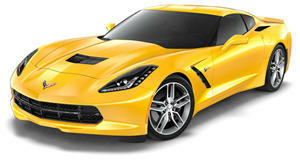 But a recent interview conducted by Autoline with Corvette chief engineer, Tadge Juechter, appears to squash those rumors. Speaking to Autoline After Hours, the show’s hosts asked Juechter about those mid-engine rumors. His response: "I’ll have to check that out, because I know no such car exists." Is that an outright denial, or is he just playing dumb? Juechter reiterated that GM looked into the possibility of going mid-engine during early C7 development, but the idea was scratched due to money problems. The issue of sacrificing driving comfort was also a factor. Nevertheless, expect more speculation and rumors regarding this insanely hot topic not to stop anytime soon.